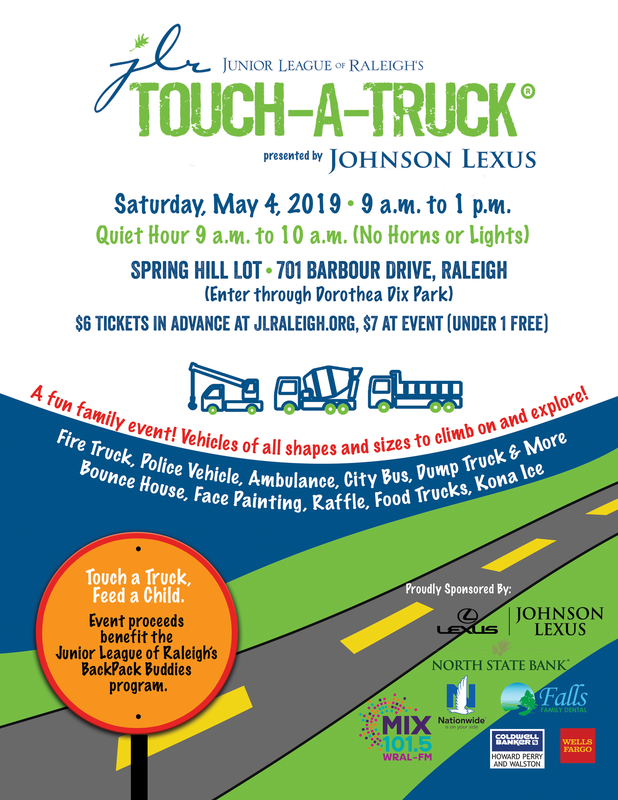 Perfect for kids of all ages and interests, the Junior League of Raleigh’s Touch-A-Truck® fundraising event is sure to be a load of fun! From emergency trucks, construction equipment, big rigs and mobile machinery, we’re bringing out vehicles large and small for your little ones to touch, climb on and explore. Children will also have the opportunity to meet and speak with Wake County’s finest including first responders, truck operators, area builders and community helpers. Shhh! Is your kiddo sensitive to lights and loud noises? Come to our quiet hour from 9 a.m. to 10 a.m. to enjoy the event without horns, sirens and flashing lights. Vroom, beep, whoop, honk—join us! Saturday, May 4 from 9 a.m. to 1 p.m. 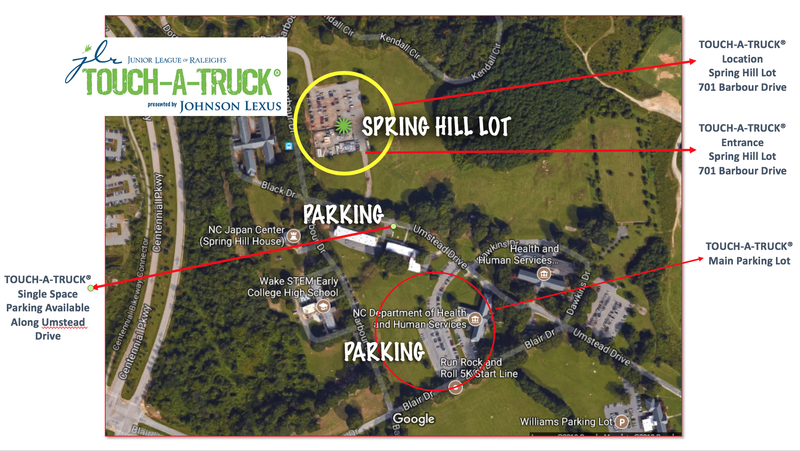 In partnership with area schools, JLR’s BackPack Buddies feeds more than 150 students in need. Children receive a package containing six balanced meals and two healthy snacks, including fresh fruits, to take home at the end of every week during the traditional school year.